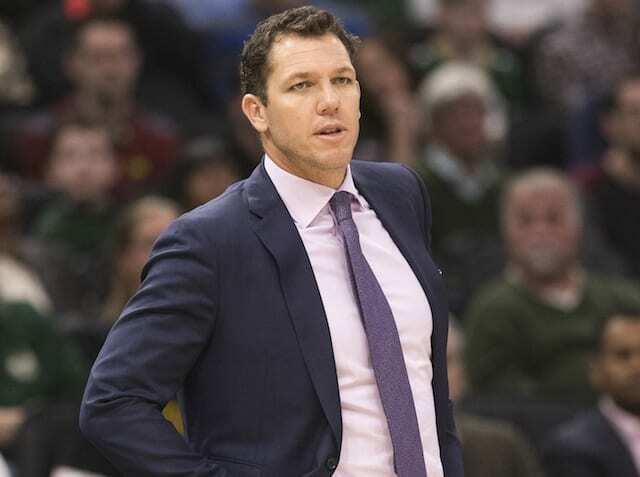 With All-Stars LeBron James and Giannis Antetokounmpo each sitting out, role players were left to decide Tuesday’s matchup, which resulted in the Los Angeles Lakers suffering a 115-101 loss to the Milwaukee Bucks. Kentavious Caldwell-Pope scored a game-high 35 points. 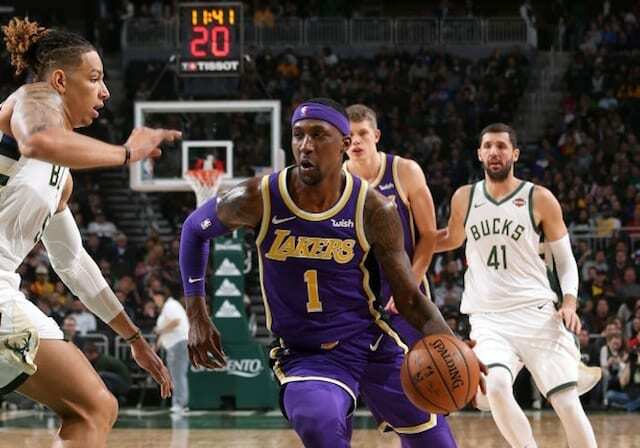 The game swung with three-point shooting, as the Bucks dominated the first quarter, while the Lakers had a rare display of marksmanship of their own to keep it close before halftime. That was thanks in large part to Caldwell-Pope knocking down five 3-pointers. Caldwell-Pope scored 21 points in the second quarter, giving him a career-high 23 first-half points. While the Lakers were trailing by just three points coming out of the break, Brook Lopez helped the Bucks build out their lead. Caldwell-Pope checked in with the Lakers facing an 11-point deficit but failed to replicate his hot shooting. Milwaukee continued to pull away, using a 13-0 run that saw them score 38 points in the quarter. Though, upon falling behind by 23 points, the Lakers did rattle off a 16-0 run to close the third quarter and into the fourth. That prompted the Bucks to call a timeout and reinsert Khris Middleton and Eric Bledsoe. Middleton’s fadeaway jumper ended the Bucks’ scoring drought and brought some stability to the court. The Lakers managed to remain within striking distance but never were able to get over the hump. Lopez tied a season high with 28 points, while Caldwell-Pope’s 35 points are the most he’s scored with the Lakers.